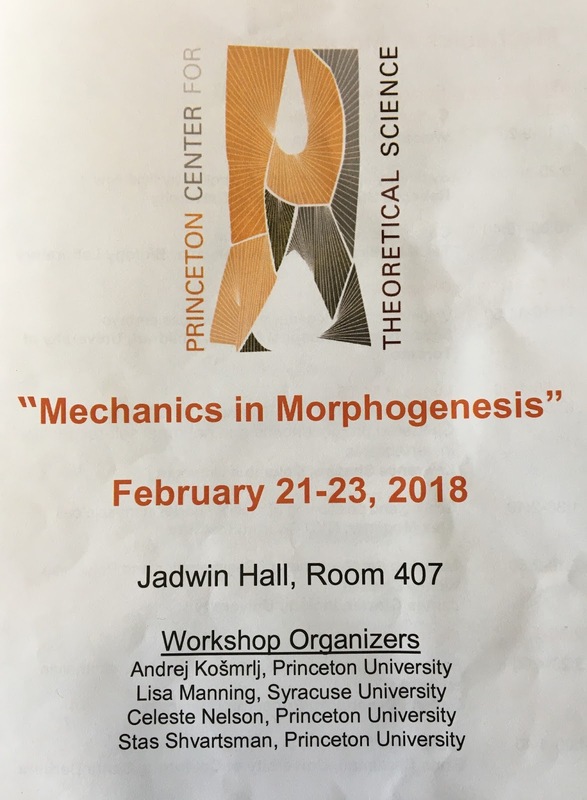 Two weeks ago, I attended the Mechanics in Morphogenesis workshop sponsored by the Princeton Center for Theoretical Science. 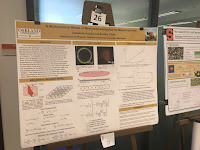 What was I doing at a workshop about morphogenesis? 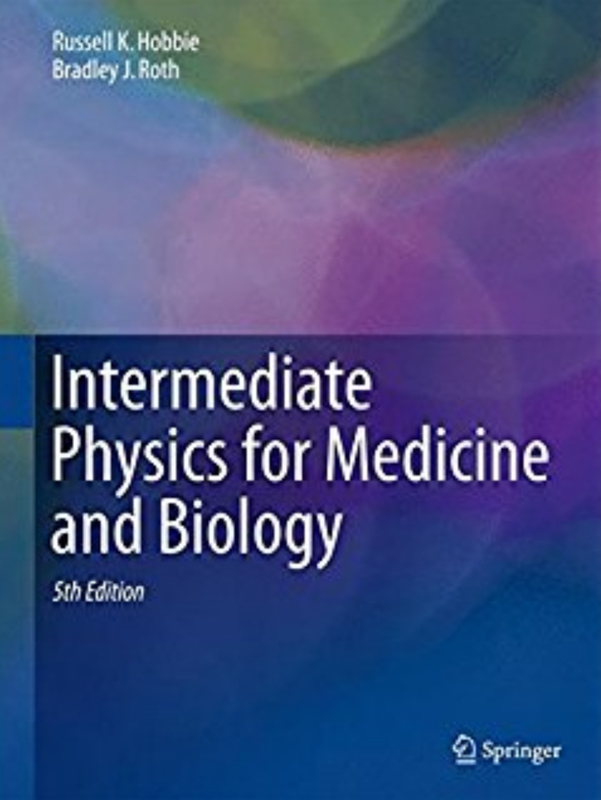 In the past few years, I have been dabbling in biomechanics (long story), with the goal of understanding mechanotransduction (how tissues grow and remodel in response to mechanical forces). My work might have applications to development, and I wanted to educate myself. 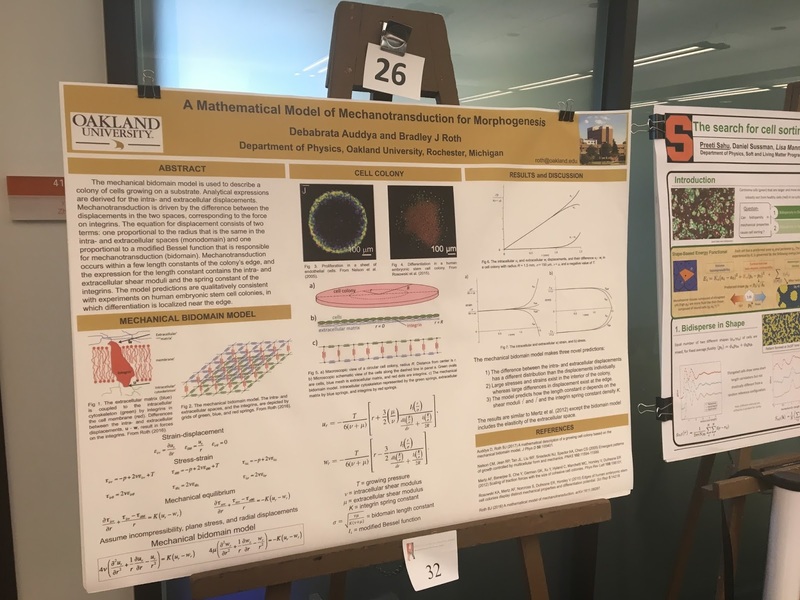 The meeting attracted a mix of experimental biologists and theoretical physicists. My two favorite talks were late Thursday afternoon (Feb 22). Ellen Kuhl of Stanford University discussed the “Mechanics of the Developing Brain,” focusing on how the brain folds into gyri and sulci. 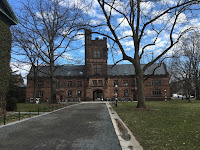 She said it was an appropriate topic for a talk at Princeton University because of Einstein’s brain (stolen during the autopsy by a Princeton Hospital pathologist). Kuhl discussed ideas from her article “A Mechanical Model Predicts Morphological Abnormalities in the Developing Human Brain” (Budday, Raybaud and Kuhl, Sci. Rep., Volume 4, Article Number 5644, 2014). This article appeared in Scientific Reports, an open access journal, so you can read the entire article online. The abstract appears below. The developing human brain remains one of the few unsolved mysteries of science. 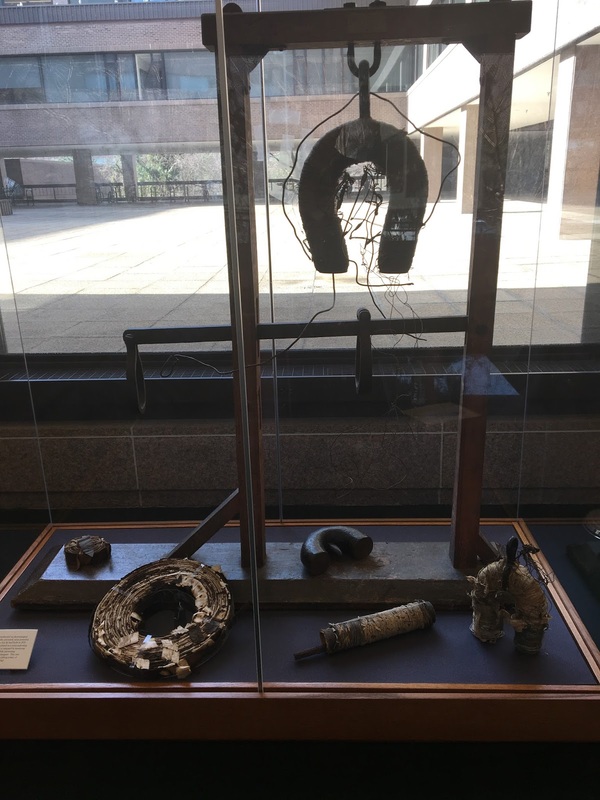 Advancements in developmental biology, neuroscience, and medical imaging have brought us closer than ever to understand brain development in health and disease. However, the precise role of mechanics throughout this process remains underestimated and poorly understood. Here we show that mechanical stretch plays a crucial role in brain development. 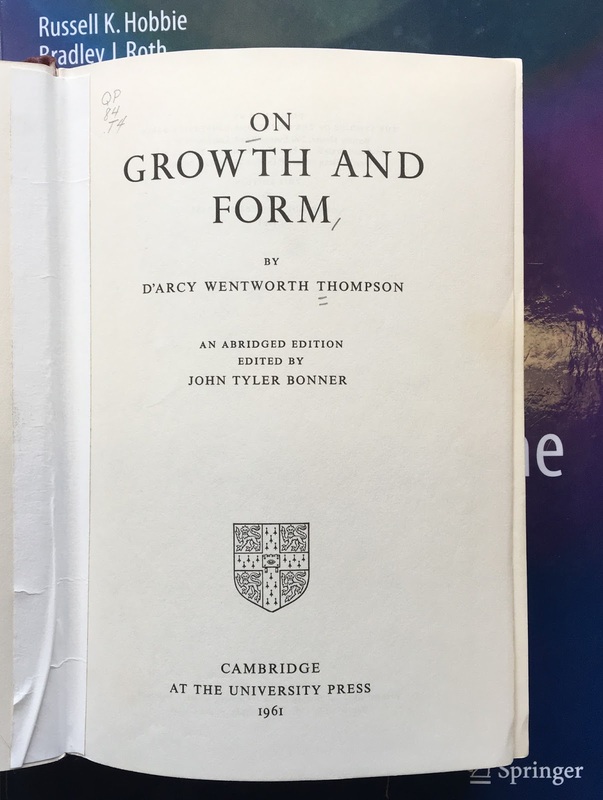 Using the nonlinear field theories of mechanics supplemented by the theory of finite growth, we model the human brain as a living system with a morphogenetically growing outer surface and a stretch-driven growing inner core. This approach seamlessly integrates the two popular but competing hypotheses for cortical folding: axonal tension and differential growth. We calibrate our model using magnetic resonance images from very preterm neonates. Our model predicts that deviations in cortical growth and thickness induce morphological abnormalities. Using the gyrification index, the ratio between the total and exposed surface area, we demonstrate that these abnormalities agree with the classical pathologies of lissencephaly and polymicrogyria. Understanding the mechanisms of cortical folding in the developing human brain has direct implications in the diagnostics and treatment of neurological disorders, including epilepsy, schizophrenia, and autism. I also enjoyed a physics colloquium about “Motifs in Morphogenesis” by Lakshminarayanan Mahadevan of Harvard University. I liked how he presented simple, toy models that illustrate development (my type of physics). Mahadevan is a MacArthur “Genius Grant” Fellow, and I can see why. Great talk. 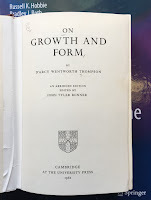 On Growth and Form raised the question of the origin of biological shape in a physical framework. Since then, advances in our understanding of the biochemical basis of the laws of heredity have provided the modern conceptual understanding for how shapes develop anew at each generation, from a single cell – thus surviving the death of an individual through its offspring. As this Special Issue illustrates, we are now beginning to understand how genes encode geometry. As morphology both enables and constrains function, a natural next question is how biology creates functional (and plastic) shape that begins to link morphology to physiology and behaviour. As you mull this question, we would like to thank all the authors and referees of the articles in this Special Issue for their contributions, and we hope you enjoy reading it! 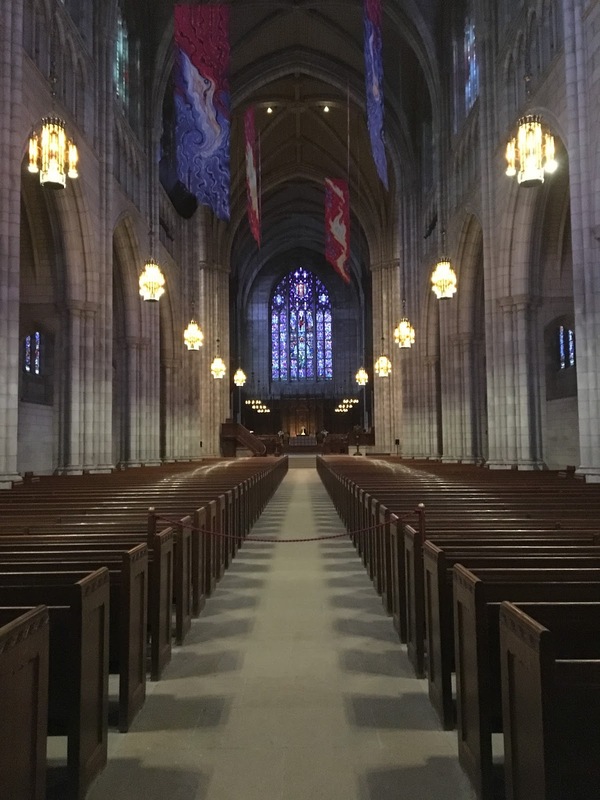 I had never been to Princeton University, so during lunch breaks I snuck out to look around the campus. 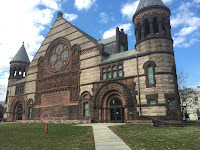 It is beautiful (even in February), with many historical buildings. 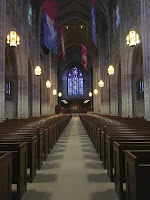 I particularly liked the gorgeous chapel, shown below. 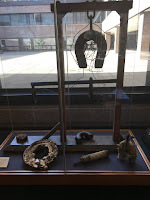 Joseph Henry electromagnet displayed in Jadwin Hall. My poster with Debabrata Auddya. 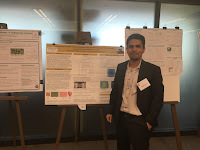 My poster with graduate student Kharananda Sharma. The Mechanics in Morphogenesis workshop highlighted how physics can be applied to biology and medicine, a topic central to Intermediate Physics for Medicine and Biology.